Selecting a web host can be difficult. There are near endless array of web hosting providers, offering a near identical set of services, at near identical prices. So, how do you choose? If you are environmentally conscious and would like to make a difference in the world, GreenGeeks offer a hosting platform that stands out from the rest — one that allows you take an active role in fighting climate change. On top of that, the release of the GreenGeeks new hosting platform was announced this week. Every aspect of GreenGeeks’ platform has been designed to be as energy efficient as possible, with no wasted resources whatsoever. But this is only a start, as for every amp they draw from the power grid they invest three times that much in renewable energy, through the Bonneville Environmental Foundation. Just think about it: while a typical web server produces 1,390 pounds of CO2 every year, a GreenGeeks server actually reduces carbon emissions, and, while it may sound counterintuitive, the more resources of theirs you use the more you help the environment. Since the closer your customers are to your servers the faster your website will be, GreenGeeks offers you lots of choices. They have data centers in Phoenix, Chicago, Montreal, Toronto and Amsterdam, and all centers offer the same environmentally friendly services. With GreenGeeks, you only pay for the resources you need, and you can seamlessly upgrade them as your website grows. What’s more, regardless of the level of services you use, you’ll have the same top-notch benefits. These include expert technical support, hardware and software maintenance, security, and backups. 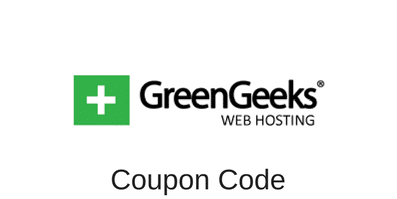 GreenGeeks employ the latest high-speed technology, which includes SSD hard drives, LiteSpeed and MariaDB web and database servers, powercache caching technology, free CDN servers, and servers enabled with both HTTP/2 and PHP 7. GreenGeeks provision each account with its own resources and secure virtual file system (Linux Secure vFS), so that no customer can impact another, in terms of both resource utilization and security. GreenGeeks employ kernel-level file checking to scan for and to isolate malware when it appears on the network. GreenGeeks’ system administrators use a combination of sophisticated software techniques to identify and prevent harmful attacks before they occur. GreenGeeks monitor their services in real-time, in order to identify and prevent problems, which results in uptimes of 99.9%. You might think — with all GreenGeeks provide — that their services must be only for big companies, but their prices are surprisingly affordable. They are actually just as affordable as the hosting companies that aren’t as environmentally-friendly. Which means you have no excuse not to be socially responsible and become a GreenGeeks customer today. This entry was posted in Articles on October 13, 2017 by Jared C. Brown.